What a start to the Olympics! London is has been absolutely buzzing for a couple of weeks now and the first three days of Olympic events have been incredible! 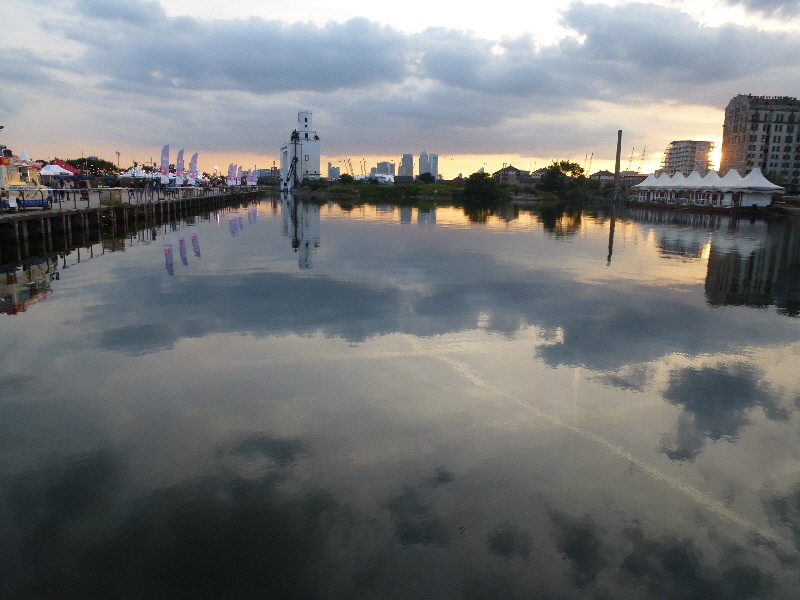 I started my Olympic experience last week when I went to an African music concert at the Pontoon Dock in East London. It was further east than I had ever been in London and well worth the commute! 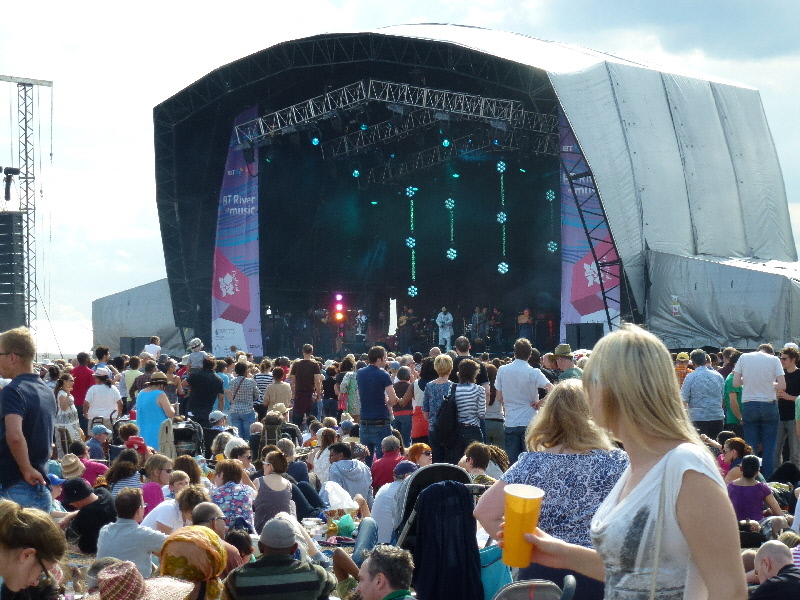 The music was from all over Africa, as it was one of the “continent” stages set up throughout the city and the weather cooperated. 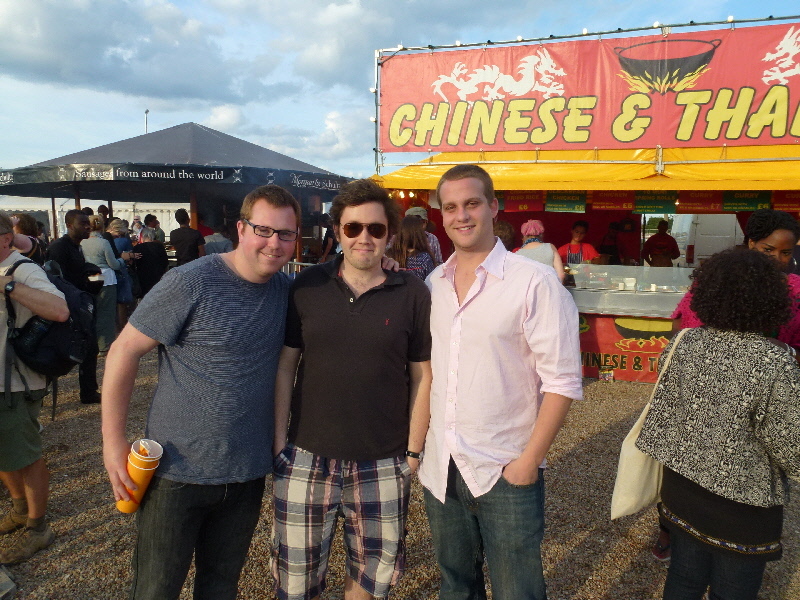 An interesting cultural experience before I headed out of London for the bulk of last week to catch up with family. I ended up coming home late Friday night, just in time for the main event to kick off! The Opening Ceremony, put together by Danny Boyle, was very impressive, incorporating British history, culture and humour to create a memorable show. I watched the ceremony at a pub in Covent Garden, which was filled primarily with UK residents who proudly belted out God Save the Queen when Queen Elizabeth II, the latest Bond Girl, arrived and cheered loudly at the comic relief provided by Rowan Atkinson. As a history teacher I quite enjoyed the theme of the night being a history lesson and thought Boyle did well to represent the many eras of British history. Day 1 of the Olympics was an eventful one for me. 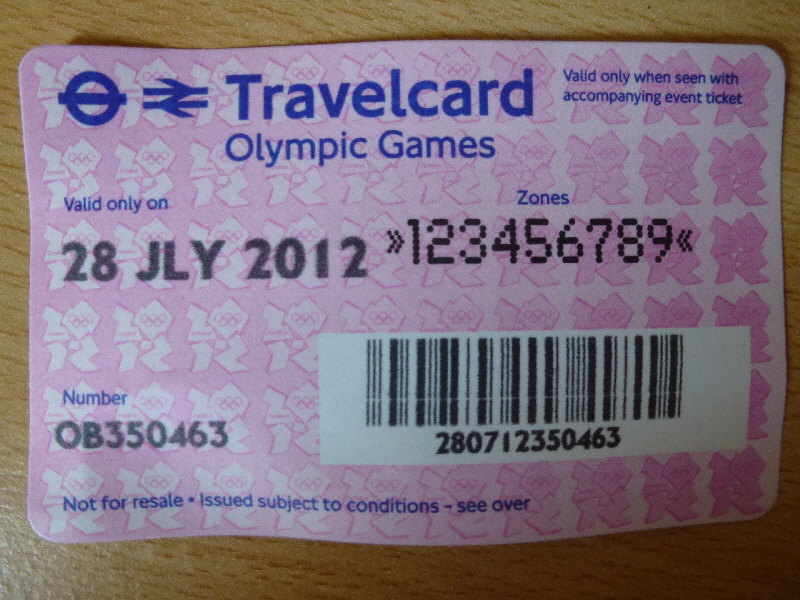 I spent the morning around London Bridge as I had to pick up my Olympic tickets that I had purchased a few months back. 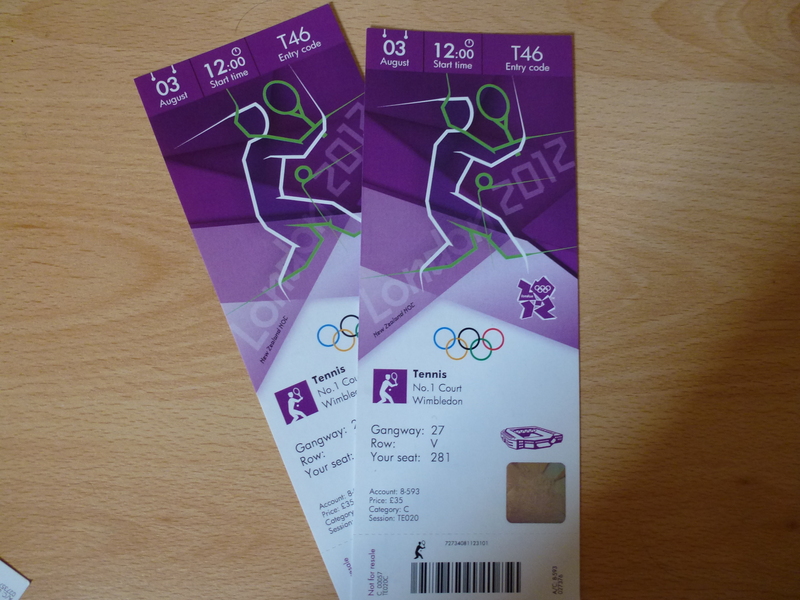 Walking around the area and soaking in the atmosphere of the Olympic spirit got me quite excited as I popped into the ticket office and confirmed the tickets to gymnastics and tennis. 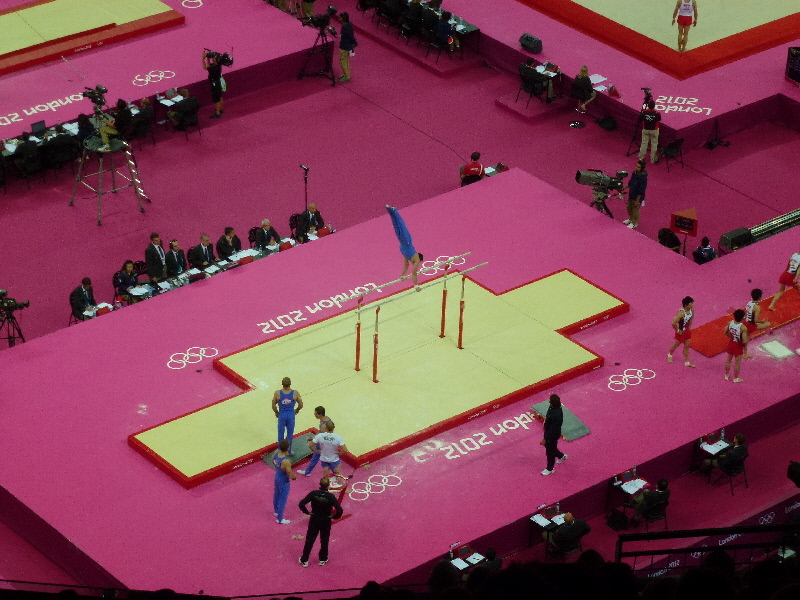 I was lucky to not have to wait too long in the ticket queue as I had to rush from there to North Greenwich Arena (more commonly known as the o2) for the Men’s gymnastics qualification round. After clearing the airport style security and making my way up to the last row of the stadium I settled in to watch a sport I am not all that familiar with, but was blown away by! 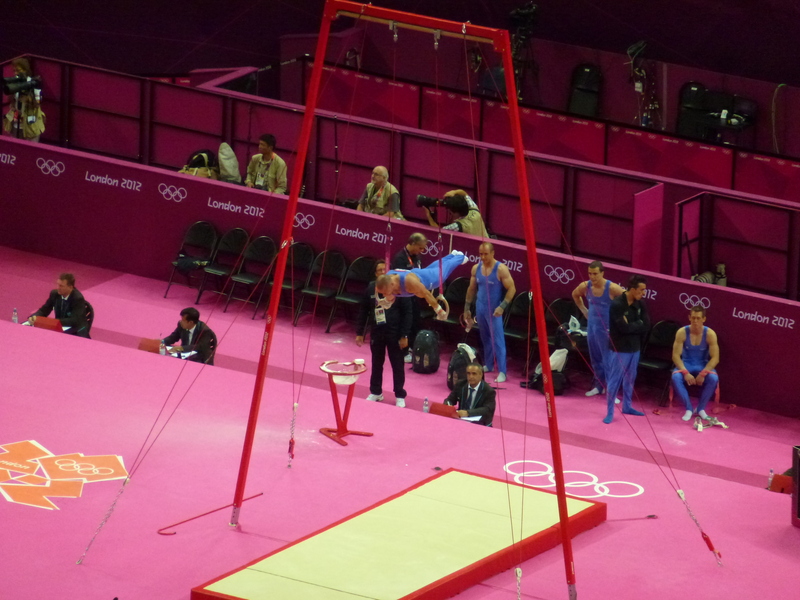 Seeing the strength of the athletes on apparatuses such as the swinging rings, or the high bar was incredible. 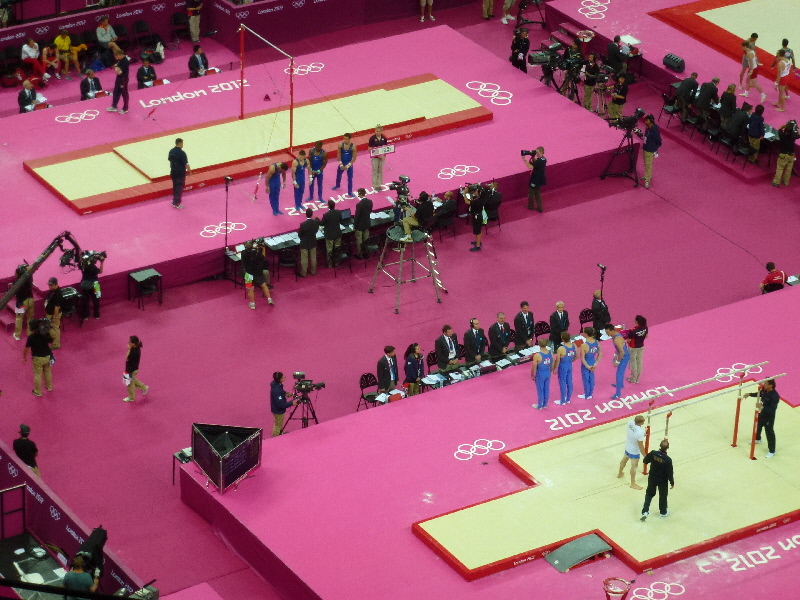 The balance and gracefulness with which they are able to move was something I never fully appreciated watching gymnastics on TV in previous olympics. 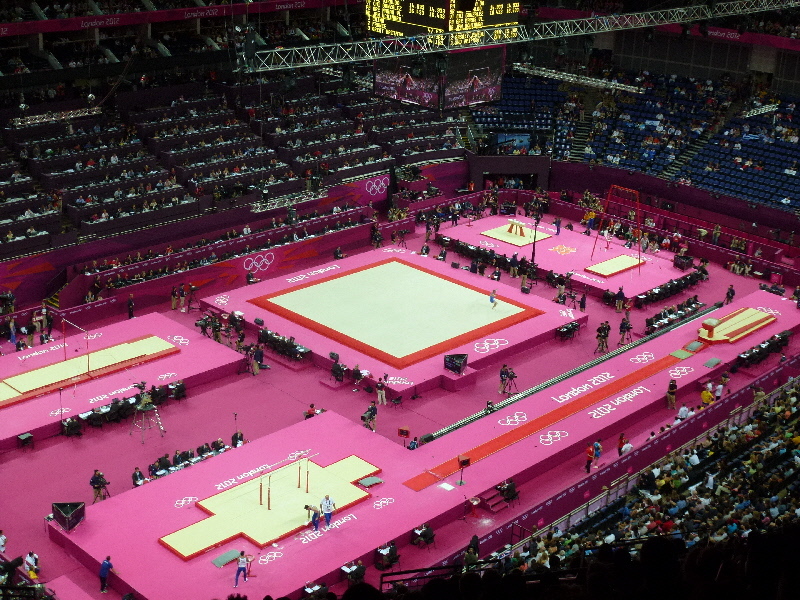 The atmosphere in the three quarters full arena was very positive with the crowd getting behind all the athletes, particularly on the change overs where we would all clap in time as the competitors walked to their next apparatus. Team USA was easily the best team of the five I got to see and the American fans in attendance certainly felt the same way chanting U-S-A at any opportunity. 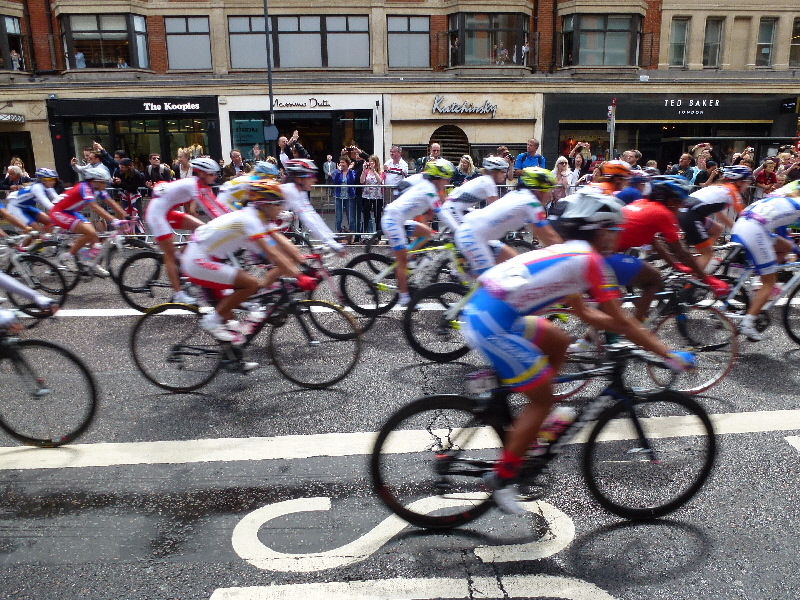 Day 2 was an early start for me as I headed over to west London to catch a glimpse of the Women’s cycling road race. 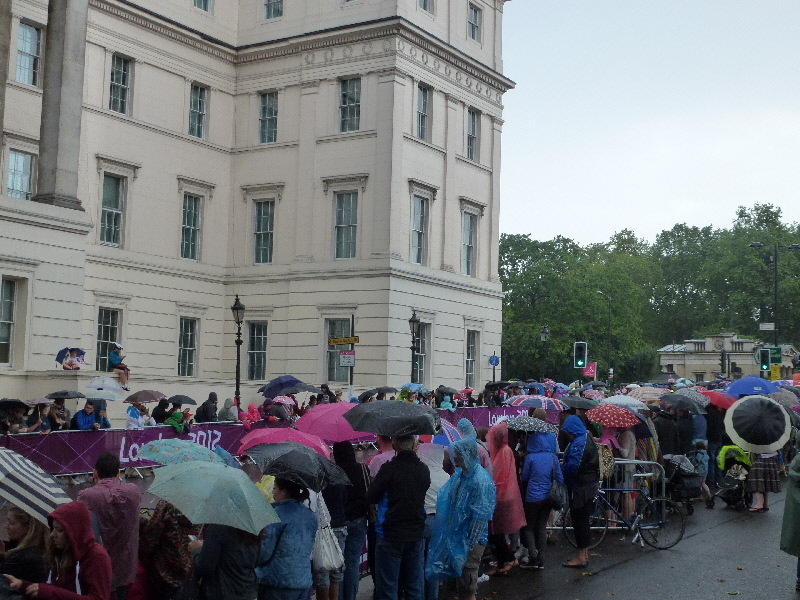 The race began near Buckingham Palace before heading south of London and making its way back to the Mall for the grandstand finish. I wasn’t lucky enough to have tickets to the finish line but was able to stand about 2km away and see the cyclists as they started and just before they finished. 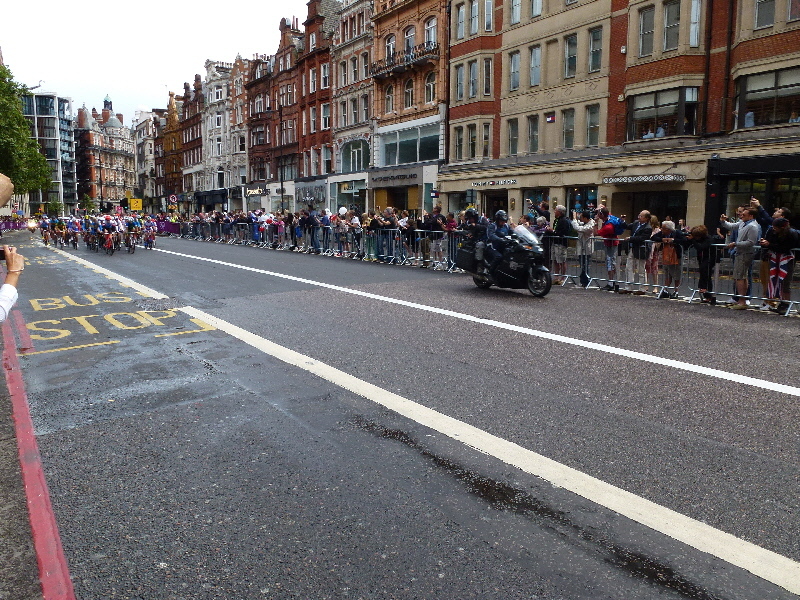 The entire course was filled with supporters and it looked more like the Tour de France than a race through the streets of London, it is great to see the city getting so enthusaistic about the games! A Canadian, Clara Hughes, was one of the medal favourites but unfortunately, due to the typically British weather conditions, she wasn’t able to medal. I did however get to witness the first Great Britain medalist, Lizzie Armitstead, fly by en route to her silver finish. 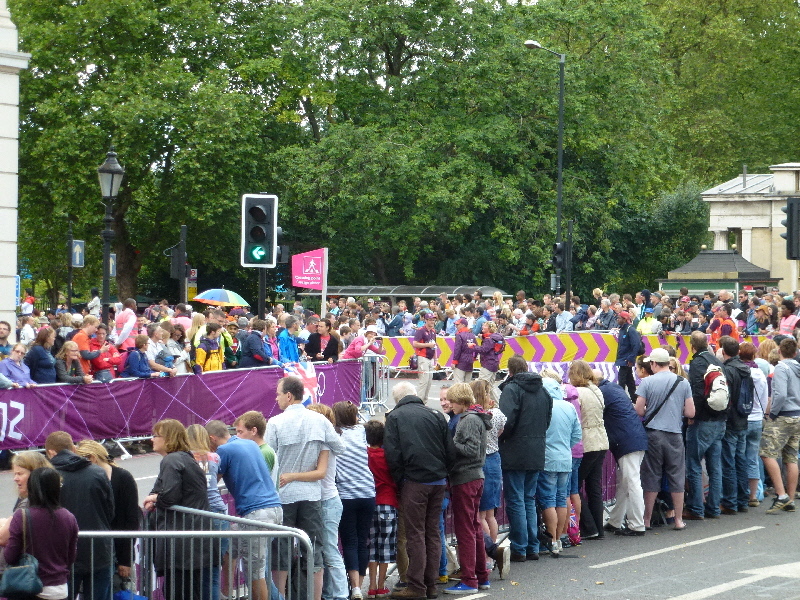 In between glimpses of the road race we decided to head over to Hyde Park and see the live site for watching the games. Again we had to queue up and clear the airport style security before entering the venue which was filled with 6 or 7 huge TVs where people could sit down and watch the different events. While the site is a cool idea I felt it could have been developed a lot further by having more interactive activities for kids or having more entertainment throughout the park. The idea is a good one though and perhaps as the crowds really arrive in London next weekend the atmosphere of Hyde Park will pick up. 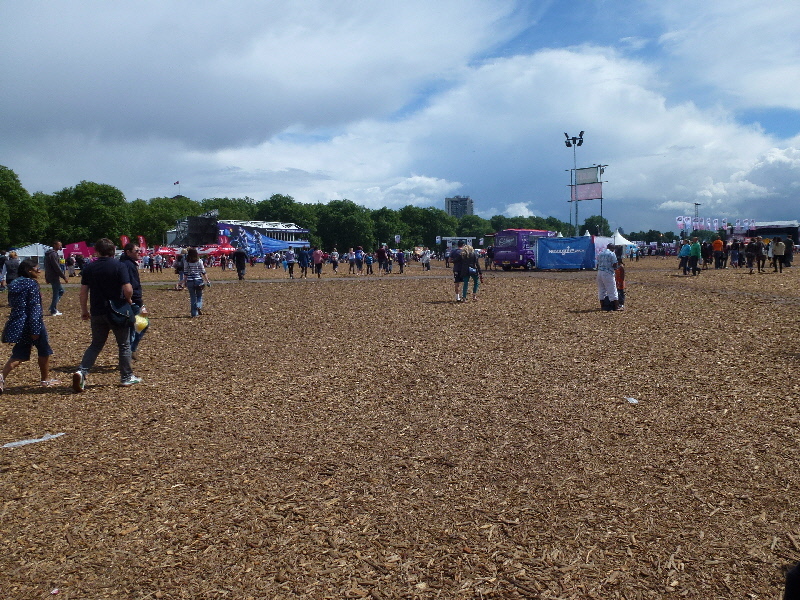 I am looking forward to getting to Victoria Park, the other live site, to compare the two. 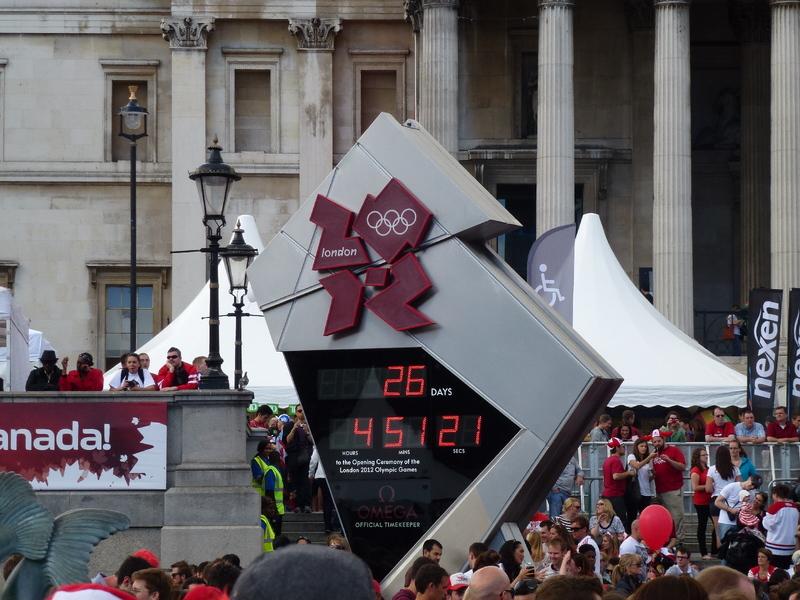 It was an eventful first Olympic weekend for me and London seems to be withstanding all of the tourists with relative ease. Outside of the venues the city seems oddly normal and the trains are running well. I think the true test will come today as the usual rush hour overlaps with the numerous events around the city, and as more people begin to arrive in London later this week it could be a different story, but so far all the talk of disaster and chaos has been overblown. How shocking that the British media would do such a thing! A good teacher is always learning. My first full year of teaching is now officially over! It’s hard to believe how quickly things have gone this year and how many different stories and experiences I have had. Obviously, I will not be able to cover all of these events in one blog (that would take up my entire 6 weeks off!) but I feel that reflecting on the year that was is an important part of improving myself for the year to come. Unfortunately for confidentiality reasons I can’t name the schools I worked at in a public forum such as this, so you will have to bear with me as I describe my adventures around London. When I first began teaching October I have to say I was quite overwhelmed. I was entering not just one unfamiliar environment, but several. It was truly a baptism by fire and I was jumping in with both feet. Not only had I recently moved to a new city and a new culture, but I was also making my first entry into a school environment, in a system and age group that I had not been trained for. This led to somewhat of a rocky start for me especially when teaching the lower age groups as my classroom management strategies that would have worked well for 16 year olds did not quite have the desired effect on 5 year olds! What I did quickly realize though is that it was still teaching and that as long as I kept at it I knew that I would be able to adapt. This didn’t happen immediately however, the learning curve was very steep and those initial days were extremely tough, but I feel as though I made a lot of headway this year and the experience has been an overwhelmingly positive one. The most unexpected part of the first few teaching days was seeing the amount of poverty that exists in London and learning to teach in an environment I had very limited exposure to growing up on the Westside of Vancouver. The first month in particular was incredibly emotional for me as day after day I would hear the stories of a particular student and feel for them. In teacher’s college we were taught to make sure we had a good support system during our first year of teaching, but as a supply teacher, and a foreigner, this was a very tough thing to find. I am fortunate enough however to have a strong family background in teaching and this was where I was able to turn to in these first few tough weeks for support. Frequent Skype calls to my parents as well as chatting to my sister really helped me get through those first few weeks. It wasn’t until my third or fourth week teaching that I realized that instead of feeling sorry for these kids, I have an opportunity in front of me. An opportunity to make a difference in their lives, however small it may be. This was really put into perspective one day in the staffroom when I was chatting with a teacher at a “last chance” school in Brixton. The teacher explained to me that as teachers it is our responsibility to say to these kids “ok, you’ve been dealt a poor hand in life so far, how are you going to make the most of what you DO have?” This got me to thinking that I can’t go around feeling sorry for these kids, I need to work with them and try to turn them into respectable human beings at the very least. In some schools I noticed the teaching was not so much about maths, or literacy, but rather it was about discipline, respect, and simply making the right choices. The attitudes many of these schools have taken is one of keeping kids out of gangs, or keeping them away from drugs, rather than pushing them towards (almost) unachievable goals such as going to Oxford or Cambridge. It wasn’t until around Christmas time that I truly got into the teaching routine and finally began feeling comfortable in the primary classroom environment. By this time I had experience teaching every year group and had lessons to fall back on if need be – a crucial part of supply teaching. In the lead up to Christmas I was working quite frequently at two rather low performing schools, one in Hackney and the previously mentioned one in Brixton. At first these were eye openers for me, but as I learned the personalities of the students I really began to enjoy both of these schools. The teaching was very challenging, and the classroom management had to be top notch, but what I really enjoyed was seeing the improvement. Not only did I see an improvement in the students, but I did in my teaching style as well. The kids, who initially would play up because there was a supply teacher, began to warm up to me and the classroom environment improved drastically. When I moved on after Christmas to higher performing schools I became very thankful I had learned what I did in November and December. The Christmas holidays hit at just the wrong time for me this year from a professional perspective. I was really starting to get into the rhythm of teaching and despite working at a different school every day I was actually establishing some semblance of a routine. While the two weeks off at Christmas were a planned holiday, the week and a half of very little work that followed it was what really set me back. I began working for a new agency at this time and effectively spent the next few months juggling a few agencies and teaching at close to 40 different schools. That time in January however was the last exceptionally slow period I would have the rest of the year as I spent much of my remaining time with guaranteed pay (giving me financial stability), and once I got over the adversity of my step backwards I was able to really take a significant leap forward throughout the remaining six months. It wasn’t until April that I was able to find another school where I felt as comfortable as I had in Hackney. I spent a lot of the winter visiting schools for a day or so but finally after 3 months I began working a lot at one school in Tower Hamlets. 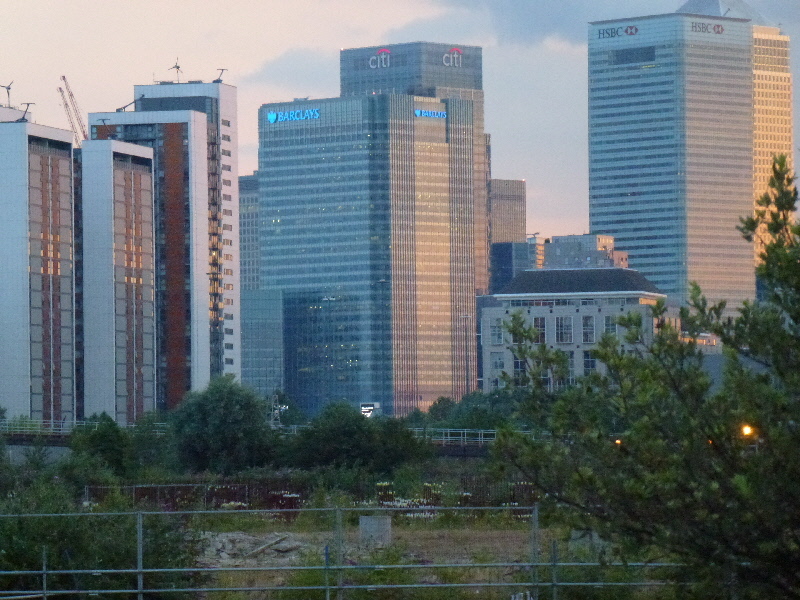 Tower Hamlets is a very interesting community located right in the heart of East London. While many east London communities are known for their behavioural issues and low performance this borough is overwhelmingly very respectful and the students are quite eager to learn. At this particular school this was even more profound as it was extremely well run and demanded a lot of everyone, supply teachers included. Sometimes high expectations lead to high rewards, this is what worked for this school, but at other schools around London this theory would have been tough to duplicate. It was in Tower Hamlets that I finally began to really feel accepted at a school. The staff treated me as though I worked there, the students seemed confused as to why I always wore a “visitors” pass, and I even began helping out with the after school programmes. This was easily the school I most enjoyed going to and it led me to develop as a teacher in many different ways. The classes I had at each level were so well behaved that classroom management became rather different. I could allow the students much more independence and freedom while still maintaining control, something I much prefer to do as a teacher. This school is also where I was able to try many different techniques of teaching. I was able to figure out what worked for me, and what I could make work with a few improvements. This will undoubtedly benefit me down the road. If there is one thing I learned that stands out above all the rest this year it is adaptability. When you are teaching you need to be able to adapt in almost every situation because of the simple fact that every child is different. Certainly routine and consistency are important parts of a classroom structure, but any teacher that is not able to change something that is clearly not working is not going to be successful. Supply teaching was an excellent way of learning that flexibility as I would have to learn the dynamics of the classroom, the school, and the borough I was in that day to truly be able to run my classroom effectively. No two days are ever the same as a teacher and no two students are ever the same, which is one of the things I truly love about the job – it never gets dull. My first year of teaching was certainly one that I will never forget, it was emotional, difficult, rewarding, exciting and interesting but most of all I truly feel that teaching is the vocation for me. I never once dreaded going to work, as I did so much during my construction days, and even on those days that didn`t go well I would still leave the school knowing that I truly love what I do. Not everyone gets to work in a career they enjoy and I consider myself very lucky I have this opportunity. While I feel as though I have learned a huge amount this year by no means is the learning curve anywhere near complete – it never will be. Next year I hope to secure my own classroom long term and that will no doubt be another steep learning curve, as will getting back to teaching secondary school, something I really want to do. I hope that next year will be as enjoyable as my first one! 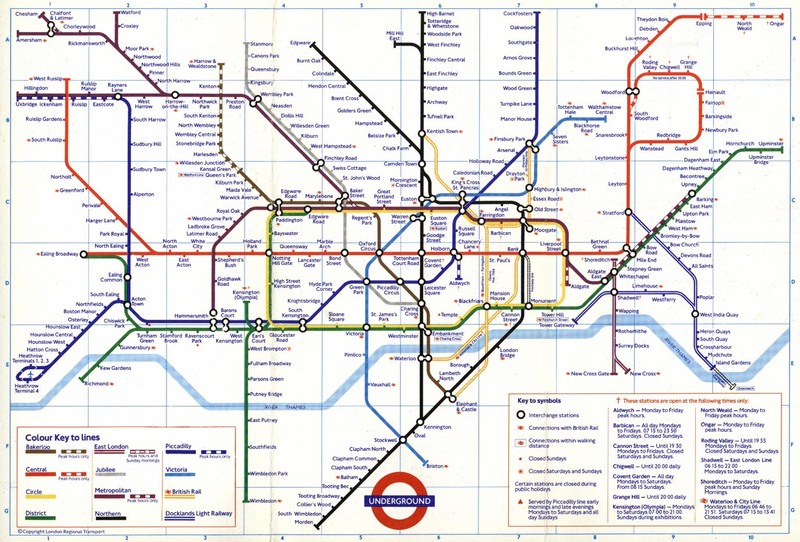 Since I arrived in London nearly ten months ago I have tried my best to keep you updated on how I have adjusted to the city, what adventures I have embarked on, and how I have adapted to life across the pond, but one thing I haven’t gone into too much detail about is the London Underground. 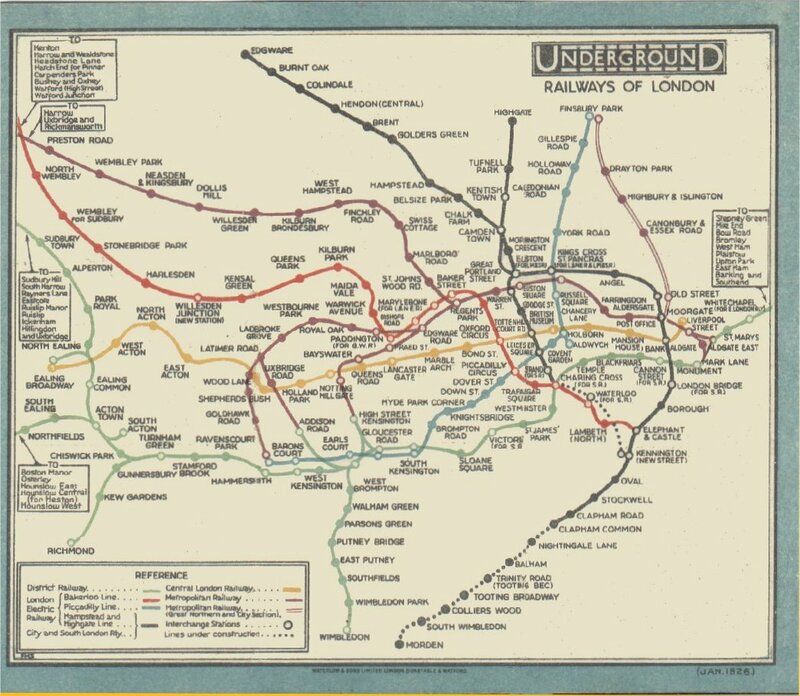 The tube, as it’s colloquially known, is a whole different world and I feel like it has taken me all this time to truly understand the significance it has on London. 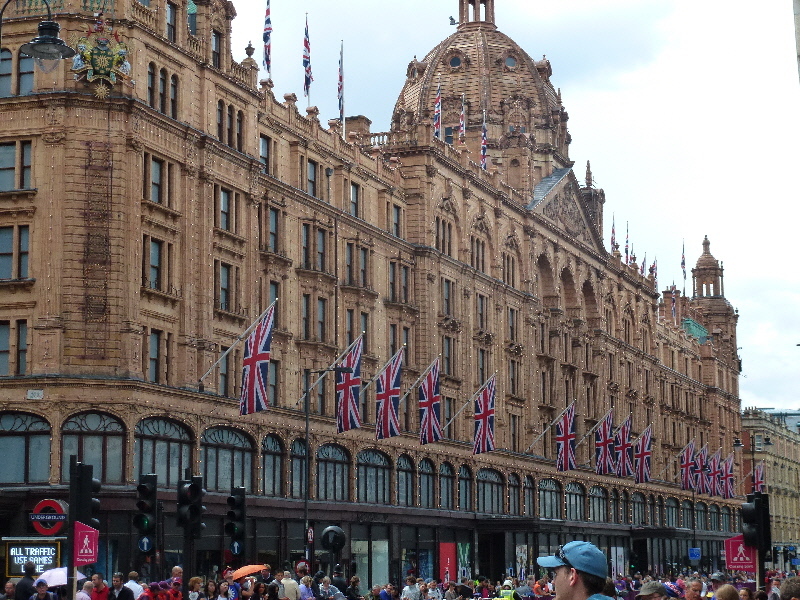 When I first got to London I was very excited to board the Piccadilly line from Heathrow and head to my new (albeit temporary) home in Hammersmith, but the more I become accustomed to London the more I begin to realize that the tube isn’t much more than a necessity. When the system works well it is an incredible mode of transport that uses 11 different lines (plus 2 overground lines) to shift over 3.5 million people a day, but the key phrase in that sentence is “when the system works well”. Day after day I have noticed and experienced delays or closures throughout my commute and despite being the most expensive transit system in Europe it seems to actually be getting worse as the summer approaches. I will discuss this a bit more later in this blog but firstly I want to give you a sense of what the tube is like. The typical routine of riding the tube is something I have previously described in A Day in the Life of a Supply Teacher but what I will do here is discuss the tube in a more general capacity. 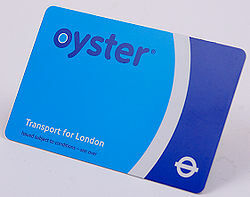 The best word I can use to describe riding the tube is efficiency, the entire experience is based on passengers doing things in a quick manner and if you fail to learn the unwritten rules quickly you will cause an amazing amount of frustration to those waiting in the queue behind you. When I first experienced commuting during rush hour traffic I was overwhelmed by the amount of people, but within a few weeks I came to realize that commuting on weekends and in off peak hours can be much more exasperating as the platforms become full of people lackadaisically meandering on the wrong side of the escalator or looking completely perplexed right next to the turnstiles. Admittedly the tube can be quite a daunting task when you first attempt to use it but for locals attempting to go about their day it gets rather infuriating. While the tube is not the preferred mode of transport for many, it is the only option most Londoners have when they want to get around the city. The problem with this of course is that the workers of the London Underground are far too aware of this fact and have been using the threat of strike action to gain wage increases and bonuses for working during the Olympics. The threat of a strike, even for a day, causes panic in the city and eventually the government is forced to cave into the demands of the tube drivers, part of the reason the system has become so expensive! One of the few benefits of the ever increasing fare hikes is that the tube does continue to expand. Since its introduction in 1863 (the oldest underground railway in the world) the growth of the system has been continuous and this is only set to increase in the next few years. 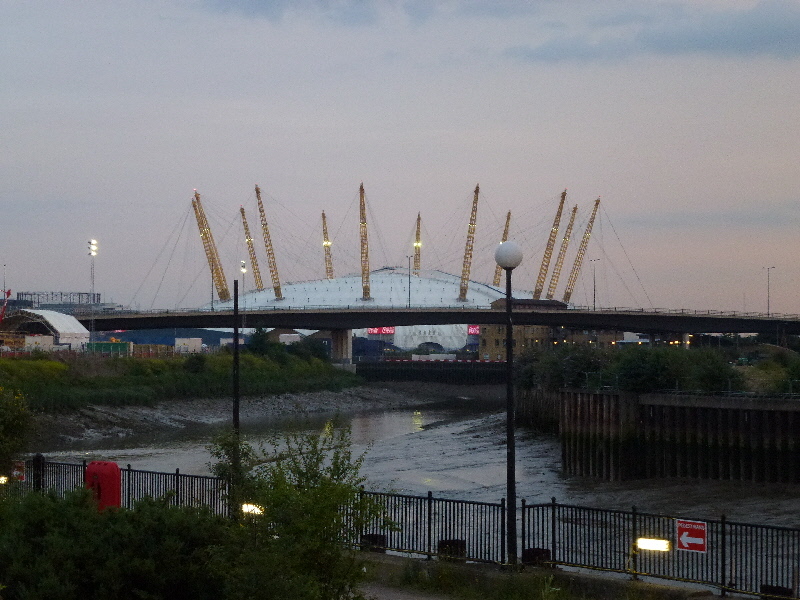 Since my last visit to London in 2006 the city has introduced the Overground section and the Docklands Light Railway, which has allowed the eastern part of London to develop and grow. While this expansion is still taking place the new plan for expanding the city limits of London has already begun. 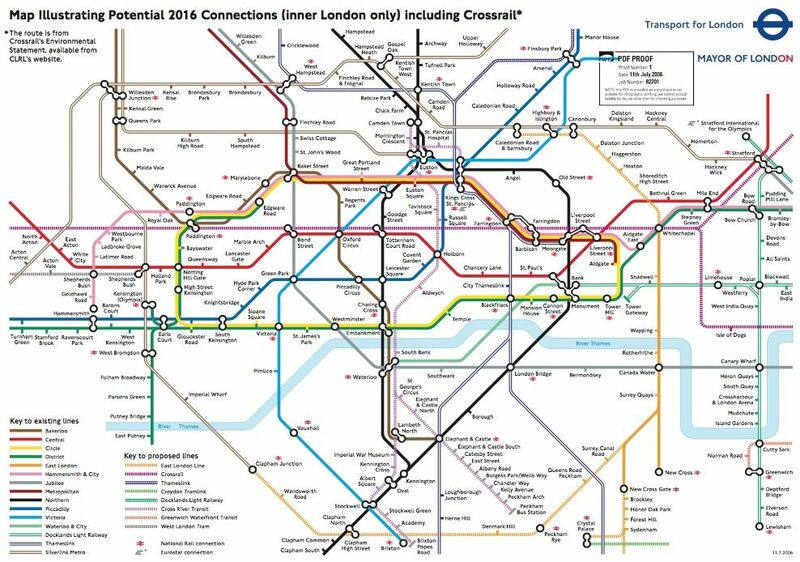 Crossrail, to be introduced in 2019, will essentially link Oxford and Cambridge to London via the tube system meaning daily commuting from these once quaint university towns will become commonplace. The rapid growth of the tube is certainly quite impressive for a person from Vancouver, a city that can’t seem to extend its rapid transit into the west side of the city. 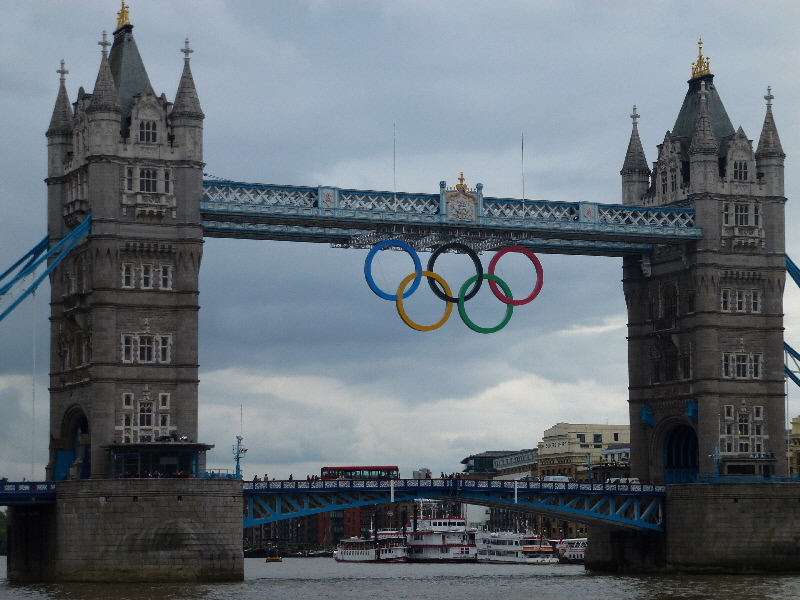 One of the reasons I decided to write this blog now is that as the Olympics approach the tube is going to become a very hot topic. It will likely get global attention worldwide and will almost certainly be criticized by the international media and travelers. 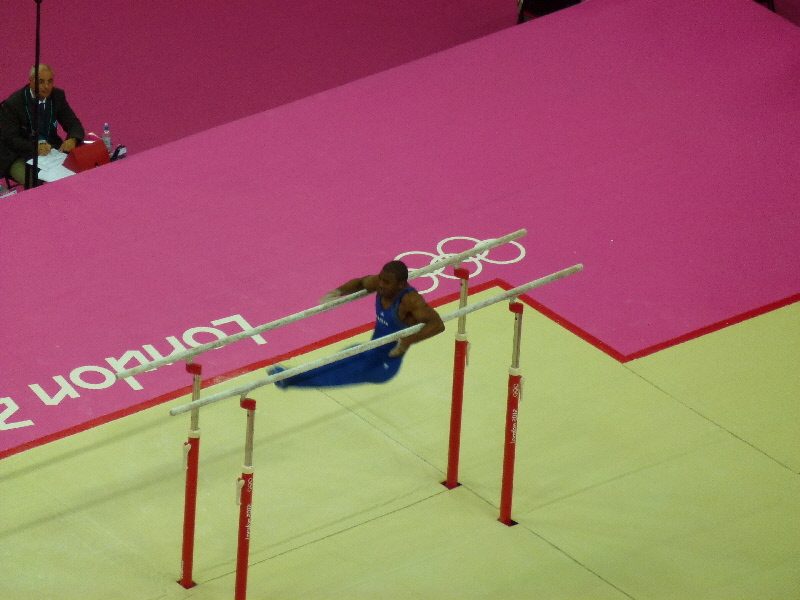 The tube is certainly not a perfect system, and during the games there will be delays and problems. If these problems are limited to overcrowding and being too hot it has to be deemed a success as the tube is overcrowded at the best of times, and if the weather cooperates it will be unbearably hot. More than likely however passengers during the games will face delays, temporary line closures and slow moving queues while boarding trains. I don’t think it will be nearly as bad as Atlanta was in the 1996 Olympics but I suspect the transport will be a point of contention. Within the last few weeks there has been a Central Line closure due to major flooding (2 million tonnes of water) in one of the tunnels and there was a train stuck in a tunnel in St John’s Wood on the Jubilee line that resulted in 800 people having to leave the train only to be led on foot via flashlight down the tunnel to the nearest exit. I fear London could become a laughing stock if similar incidents were to take place during the Olympics. 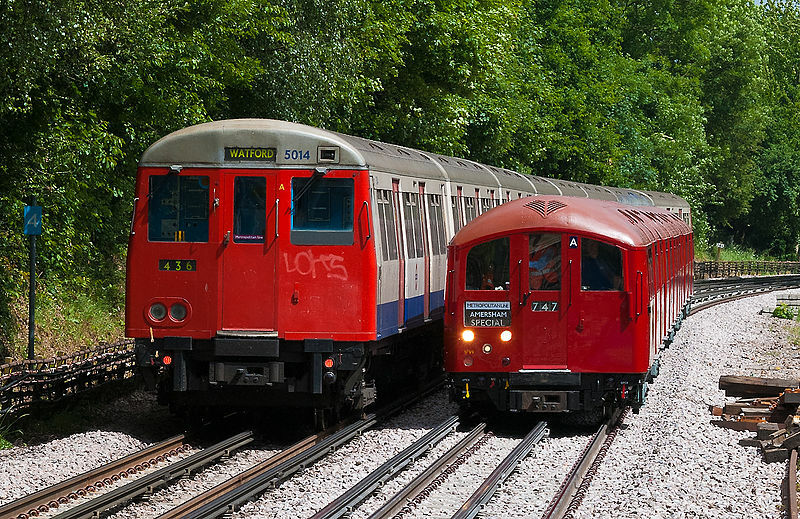 Although the tube is moaned about by most Londoners and usually only mentioned with negative connotations, there are some lighter points to riding the trains. The drivers and platform managers are quite often very colourful characters that will often crack jokes during announcements to lighten the mood. It truly is a fascinating mode of transport that, when working, is a very impressive way to travel. In a city as dense as London such a complicated tube system is necessary and has far more positives than negatives. The system will certainly never be perfect but overall it is one of the better transport systems I’ve seen and something anyone who comes to London must experience…just please try and do so efficiently! Also, while I have done my best to describe the tube I can’t hold a candle to the description by comedian Michael McIntyre. Check out this from Live at the Apollo on boarding the tube. 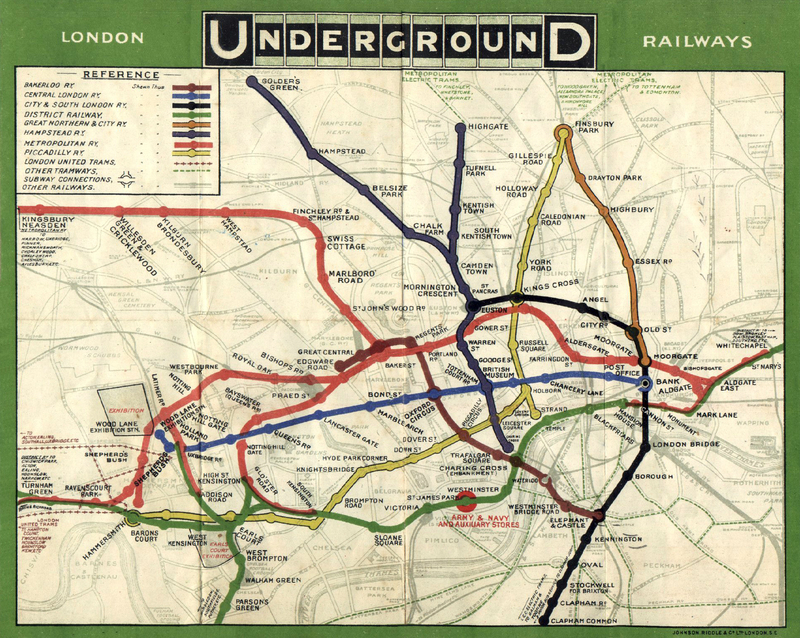 Finally, here is a blog focussed entirely on the London Underground. Going Underground. Being thousands of miles away from Canada I wasn’t exactly excited about Canada Day this year. I am currently living in a country that barely celebrates St. George’s Day, their own national holiday, so to envision a celebration for a mere commonwealth nation seemed a little much. I started thinking my expectations might be wrong when I took my daily look at Timeout London looking for things to do in this city. 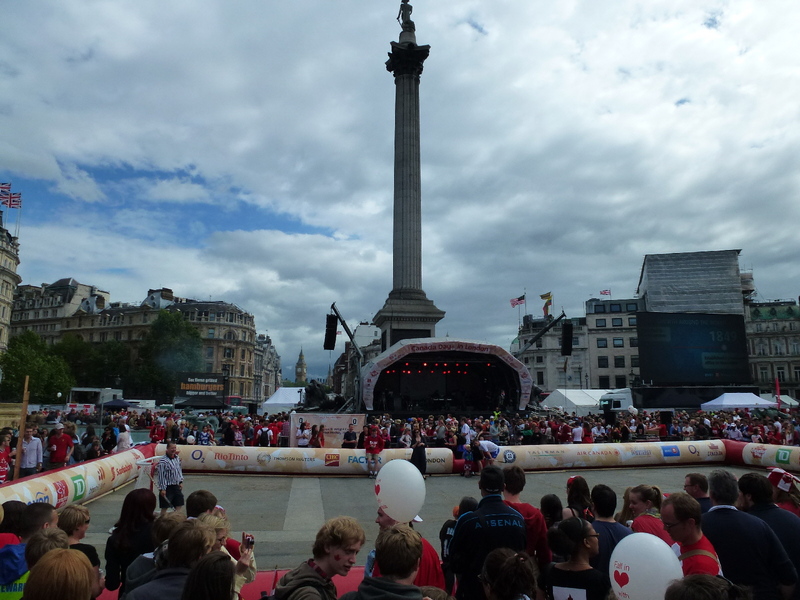 It was on this site I noticed there was a gathering at Trafalgar Square in Central London for us Canadians to celebrate our holiday. Having studied Canadian history in University and having a Canadian expert for a father, I was excited to attend this celebration, but not for the reasons you might think. In University I took a class on Canadian cultural identity where we looked at how Canada is perceived by the rest of the world and how we celebrate our culture, our heritage and our nation. 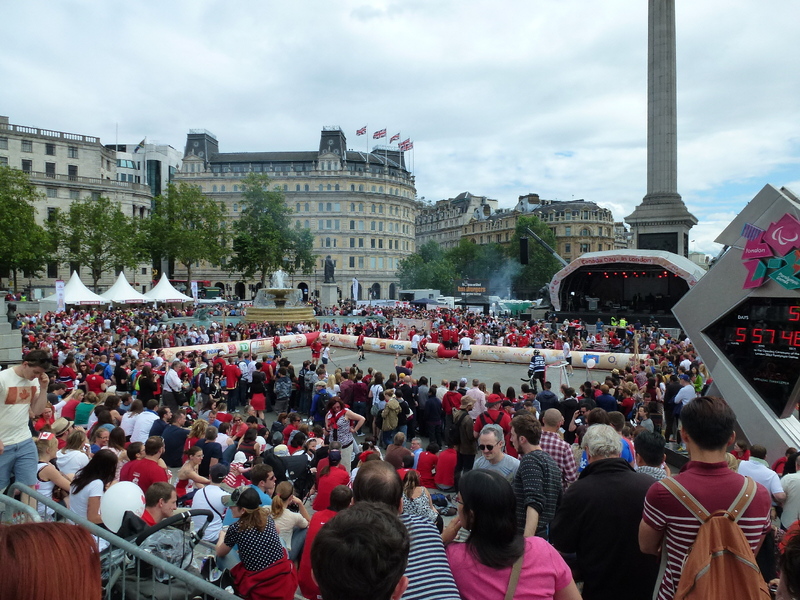 When I went down to Trafalgar square on Sunday I was planning on looking at this celebration as how the British perceived us Canadians. My original plan was to spend an hour or two there, take a few pictures, and send them on to my Dad for a laugh. Naturally I will probably still do this, but what I wasn’t expecting was that I actually kind of miss these “stereotypical Canadian things”. 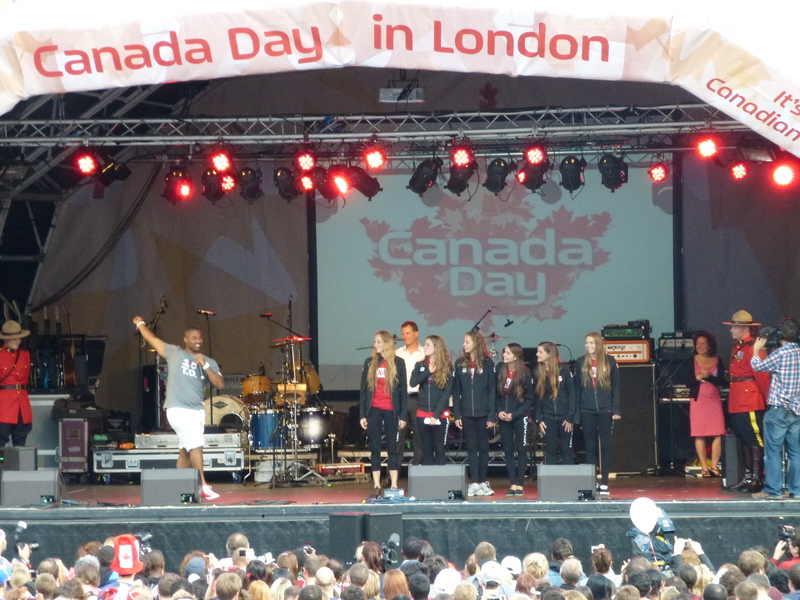 As I made the short walk from Piccadilly Circus to Trafalgar square I began realizing this Canada Day celebration was a much bigger deal than I had been expecting. 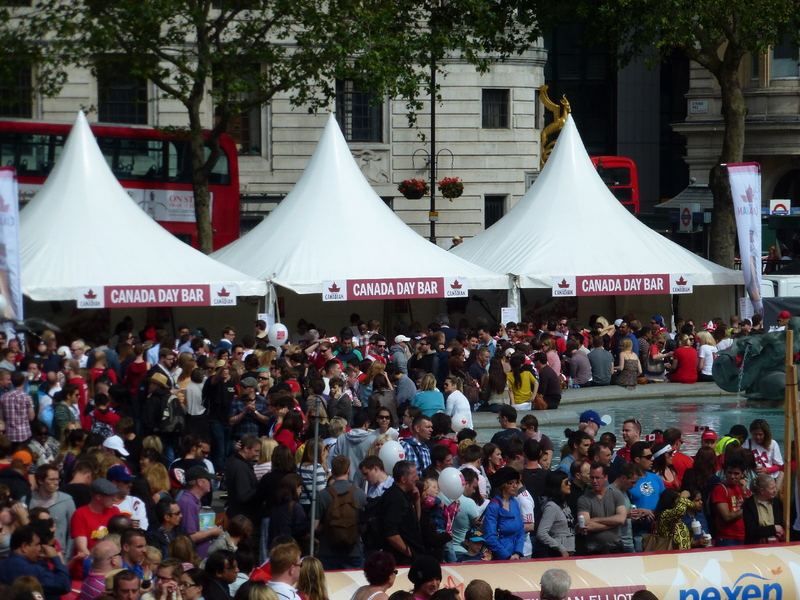 While it was still very stereotypical, it was clearly run by Canadians and had a very patriotic feeling that made me feel much more like a Canadian than I have in a while (I feel myself slowly sinking into becoming just another foreigner in London). The ceremony opened with the Canadian High Comissioner, Gordon Campbell, dropping the puck on the street hockey rink that was set up in the middle of Trafalgar Square. A street hockey tournament then took place throughout the day as ex pat Canadians rushed towards the rink for a glimpse of the sport they so dearly miss. It was truly a novelty here as you would rarely see a street hockey game in Canada being watched by hundreds of Canadians. Just as I showed up Stompin‘ Tom Connors‘ “Hockey Song” blared on the loud speakers as all the Canadians surrounding the rink joined in for the chorus. It was one of the more surreal feelings of my life singing the Hockey Song at the top of my lungs in a major city halfway across the world. 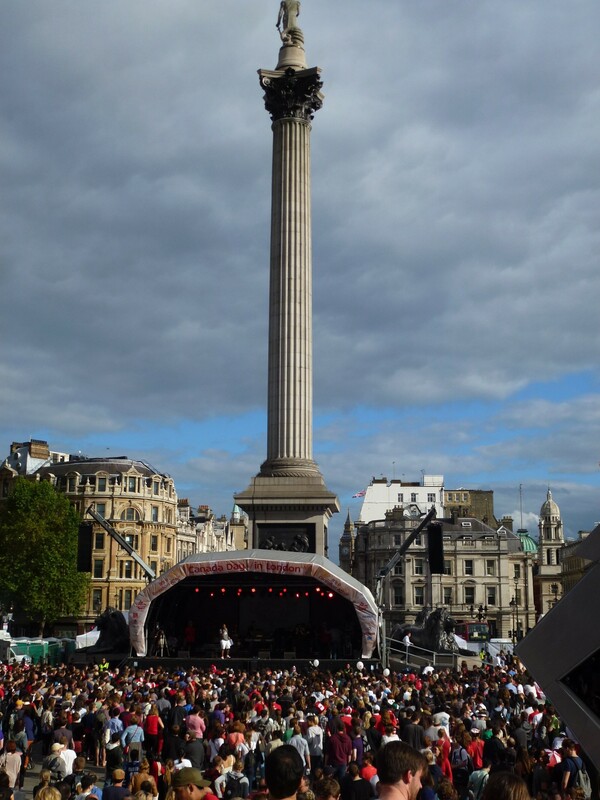 As I continued to roam through Trafalgar Square I began to almost forget the fact I was in London. 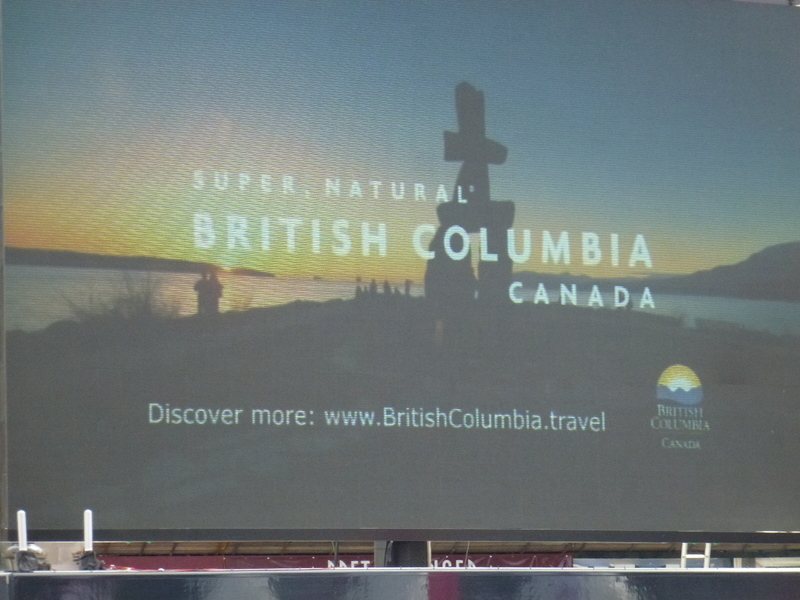 Molson Canadian was being served at the beer tent and Canadian songs were being blasted over the large speaker. Everything from The Tragically Hip to Carly Rae Jepsen to…Justin Bieber (I can’t get away from Bieber!). The true Canadian spirit was out in full force throughout the rare sunny day and the crowd continued to expanded as the temperature increased, Canadian bands appeared on stage and the number of hockey jerseys (both Canadian and various NHL teams) skyrocketed. Although the day was about as stereotypically Canadian as you could get (including a Yoga performance sponsored by Lululemon) it was a truly enjoyable one. The Canadian organisers went through a lot of effort putting the celebration together, even getting a Canadian host (Cabral Richards) and serving poutine. I fully intend to return next year as it was an unbelievable party in a great setting in the heart of London with Big Ben in the background. I unfortunately had to miss the major attractions of the night, Our Lady Peace, as I snuck home to watch the European Cup Final, but it was a very cool experience getting to celebrate my national holiday with fellow Canadians despite being so far away from home. 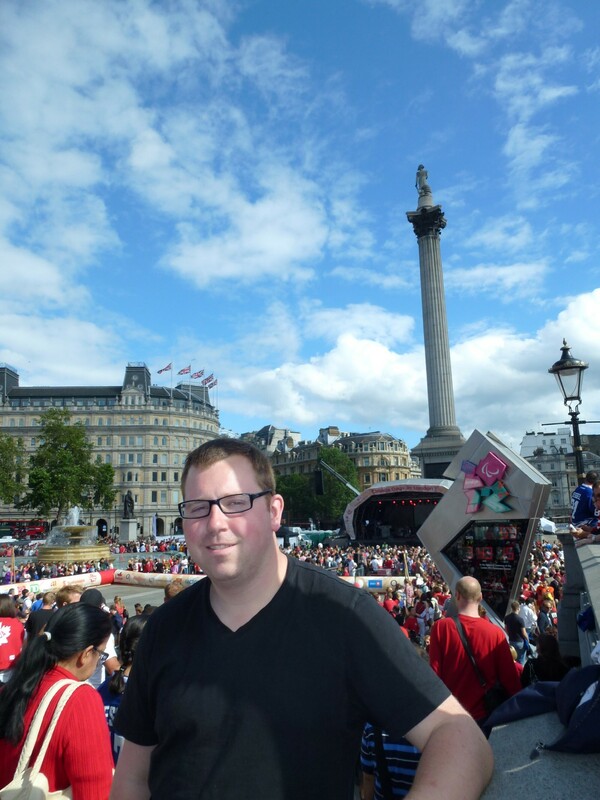 As much as I do love London there are times I do miss the Canadian lifestyle, it was nice to relive…even if it was only for a day.